Another picture of the side-sleeping Grizzly. 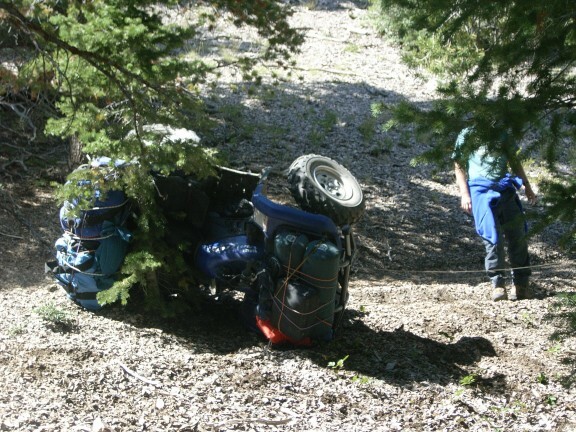 I'm getting ready to tie it off again with a tow strap to an uphill tree. We unloaded the racks, rolled it back onto its wheels, and backed out of there. Turned onto Paiute 13 and on to Paiute 15 since they were easier trails and Dennis's nerves were frazzled!